This Alumni Lecture is presented by the Ackerman Alumni Association. Alumni Lectures are open to all mental health professionals. Alumni Association members with dues in good standing may attend free of charge. Admission includes a light dinner reception. According to Dr. Daniel Hill, affect regulation theory, the science of how humans regulate their emotions is at the core of all psychotherapies. Drawing on psychoanalysis, attachment theory and neurobiology, Daniel Hill in his book Affect Regulation Theory (2015) mines a large body of contemporary research and proposes a therapeutic model for affect regulation therapy. In his first lecture, offered last year, Dr. Hill described the two affect-regulating systems; one that operates unconsciously, instantaneously and involuntarily, providing us with our gut reactions and the other that develops later a conscious, deliberate, verbal reflective system. He laid the foundation for the intersection of attachment theory and affect regulation. In this second lecture, Dr. Hill will present Allan Schore’s theory of the causes of disordered affect seen in what has historically been termed “narcissistic and “borderline” personality disorders. Looking closely at attachment traumas, this lecture will address how to apply these theories in clinical practice and conclude with a discussion of what the theory and therapeutic action look like in clinical work. For anyone who missed the first lecture, recommended is Dr. Hill’s book, Affect Regulation Theory: a Clinical Model (2015) that provides a foundation for the lecture on February 1st, 2018. 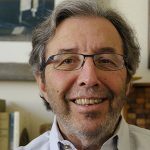 Daniel Hill, PhD, is a psychoanalyst, educator and a leading proponent of the paradigm shift to affect regulation. He is on the faculties of the National Institute of the Psychotherapies and the New York University Postdoctoral Program in Psychoanalysis and Psychotherapy. Dr. Hill is the author of the 2015 book Affect Regulation Theory: a Clinical Model (Norton Press). Alumni must have dues in good standing to attend.